Former Apple global supply manager Paul Devine pleaded not guilty to 23 counts of wire fraud, money laundering, conspiracy and receiving kickbacks. Apple filed a separate civil law suit against Paul Devine accusing his of receiving more than $1 million in payments and bribes over multiple years from companies that were supplying iPhone and iPod accessories. 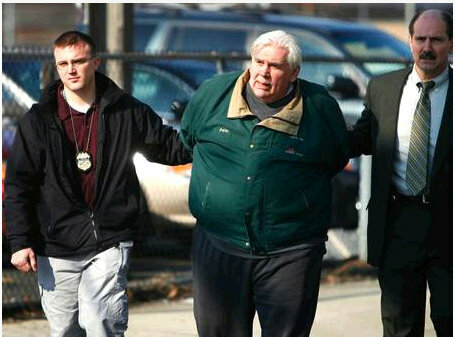 Federal prosecutors are fighting for no bail as they perceive Paul Devine to be a “flight risk”. Back in April, Apple launched an internal investigation into Paul Devine’s activities and found a long list of emails between Devine and the accessory suppliers, according to Apple’s law suit. Devine then warned his supplier contacts to stop emailing him at his Apple email address, but the Apple investigators were also able to access his personal Gmail and Hotmail correspondence. And in what is perhaps the most convincing piece of evidence in the case against, Mr. Devine and his supplier counterparts kept an excel spreadsheet of the profits that were being made from their unauthorized kickbacks.